Russia and India Had Big Plans to Build a Stealth Fighter. So What Happened? India backed out of a $9 billion agreement to develop a fifth-generation fighter jet with Russia because it didn’t need Moscow’s help, according to a new report. On June 13, India’s Economic Times reported that Delhi pulled out of the agreement at the direction of the Defense Research and Development Organization (DRDO), India’s premier defense technology agency. Citing “sources who were involved in the negotiations and are knowledgeable about the decision,” the Economic Times said the “final nail in the coffin” was DRDO’s insistence that it could develop all the technologies Russia was offering in the the PAK FA project. Military-to-military relationships continue to play an important role in foreign policy, though these roles have changed throughout time. Previously, these relationships were as simple as several military forces allying themselves to defeat a common enemy. In the present, the dynamics of soft power and hard power have changed the ways military forces interact, adding additional certain nuances to these relationships. Military relationships between the United States and China are particularly important, specifically because both nations are so closely aligned on economic fronts. However, because of differing and occasionally opposing viewpoints on foreign policy, America and China are simply limited when conducting traditional military-to-military techniques. Therefore, what steps can America—specifically America’s military—take to counter Chinese political and military responses? Also, how can U.S. forces influence cooperation with these Chinese counterparts to ensure lasting positive benefits for all? China has been a practitioner of economic statecraft throughout its history, and in recent decades since Deng Xiaoping opened the country in the 1970s. Today, one of President Xi Jinping’s central foreign policy initiatives, the Belt and Road Initiative (BRI), is a potentially trillion-dollar testament to Beijing’s commitment to using loans, infrastructure projects, and other economic measures as foreign policy tools. In the past decade, China has expanded its set of such economic instruments to include sticks, not just carrots. China has punished countries that undermine its territorial claims and foreign policy goals with measures such as restricting trade, encouraging popular boycotts, and cutting off tourism. These actions have caused significant economic damage to U.S. partners such as Japan and South Korea. The measures may also have long-term effects in deterring and shaping countries’ foreign policy interests that go well beyond the short-term economic costs. 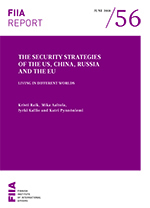 This report analyzes and compares the security strategies of four major international actors: the United States, China, Russia and the European Union. The rules-based liberal international order is increasingly under strain due to tightening geopolitical competition and the decline of the Western hegemony. In this context, the report explores the conceptions of the four major powers with regard to the world order, the self-defined position of each actor in it, and their possible aspirations to change the existing order. Furthermore, the report analyzes how each strategy defines security threats and risks, as well as ways to address these threats. The report highlights the ongoing rapid change of global structures and instruments of power as a challenge addressed in all four strategies. Increased competition is visible not only in the field of military power, but also in economic relations and at the level of values. While the US strategy defines Russia and China as key adversaries whose increasing influence is to be contained, both Russia and China correspondingly aim at building a counterweight to the US power in a multipolar world. Among the four actors, only the EU maintains a strong commitment to the rules-based order and explicitly rejects a worldview centred around zero-sum rivalry between great powers. China has offered to scrap foreign investment limits on a long list of sectors in hopes of avoiding U.S. tariffs, but the opportunities would have little impact, analysts say. While the outcome of U.S.-China trade frictions is still unresolved, China has put a series of “opening-up” measures on the table as incentives for a deal to end the bilateral disputes. Last week, China continued to dangle new investment breaks following the U.S. decision to proceed with imposing 25-percent tariffs on U.S. $50 billion (320 billion yuan) of Chinese goods. The penalties on Chinese products containing “industrially significant technologies” will be imposed in light of violations of intellectual property rights (IPR) and “other unfair trade practices,” President Donald Trump said in a statement Friday. The development and procurement of high-technology systems have increasingly proven to be important aspects of Russia’s Armed Forces modernization in recent years (see EDM, May 17, June 13). These have been wide-ranging in scope, benefiting command and control as well as boosting an array of network-enabled assets. Such high-technology systems fit more broadly within efforts to adopt “command, control, communications, computers, intelligence, surveillance and reconnaissance” (C4ISR) capabilities as critical elements in Russia’s conventional military. Integral components of this complex process include the ongoing modernization of Electronic Warfare (EW) systems, the enhancement of air defense, and networking the battlespace to provide for stand-off strike options or to conduct network-centric operations (see EDM, April 17, May 1). The next major battle between Russian aggressors and Ukrainian defenders may take place not in Donbas but on the waters of the Sea of Azov and the Kerch Strait, a development that could prove even more dangerous to regional stability than earlier Russian acts of aggression. The situation has been deteriorating since March 26, when Ukraine seized a Russian ship that had violated its territorial waters and threatened further retaliation on other waterways, (see EDM, April 12, May 1). But over the last few days, conditions there have deteriorated sharply, with each country warning that it will use military force to defend its ships. In such a tense environment, an attack on even a merchant vessel could easily become perceived by the other side as an act of war. With relations at the lowest point in decades, the United States and Russia have embarked on what appears to be a new Cold War. But this new confrontation is fundamentally different from the original standoff with the Soviet Union that engulfed the world for the better part of five decades after the end of the Second World War. Unlike during the original Cold War, there is no all-encompassing global ideological struggle between Washington and Moscow to dominate a largely bipolar international system. Outside the realm of nuclear weapons, post-Soviet Russia can hardly be considered a peer to the United States by any measure. Russian weakness relative to the United States and its allies might make this new conflict even more dangerous and unstable compared to the original Cold War. As some Gulf and Asian allies consider big purchases of Russia arms, the Senate is set to uphold a law signed by Trump that would slap sanctions on them for cozying up with Moscow. A Trump administration nominee fired a shot across the bow of any U.S. ally considering buying Russian military equipment, suggesting that even long-term U.S. arms consumers like Saudi Arabia might feel the sting of economic penalties if they contract with Moscow. “I would tell Saudi Arabia not to do it,” nominee to be assistant secretary of state for Near Eastern affairs, David Schenker told Senators at his nomination hearing last week. Donald Trump said Monday that he had directed the Pentagon to establish a Space Force, describing it as a sixth branch of the U.S. military. It would be the first time the Pentagon has stood up a new service since the Air Force received its independence after World War II. Creating a standalone service for space isn’t something the president can do on his own; he needs congressional authorization. But Monday’s announcement (here’s video, via Reuters), which follow broad endorsements of the concept by the Joint Chiefs’ office and various military branches, means that Senate holdouts who were taking their cues from the Air Force are likely to bow out of the fight. Emerging technologies enabled by digitization—notably additive manufacturing—are alluring for the nuclear industry as it works to lower financial costs and remedy quality-control concerns with aged production lines. While cyberphysical manufacturing technology could increase the efficiency and visibility of supply-chain operations, the steady trend toward digitization and interconnection could result in unacceptable cyber risks, ranging from the loss of sensitive proprietary information to the spread of compromised components throughout nuclear infrastructure. This twelfth edition of the Global Peace Index ranks the peacefulness of 163 nations according to 23 qualitative and quantitative indicators. In addition to providing the index’s findings and an overall trend analysis, the report also includes an updated assessment of the economic impact of violence as well as trends in Positive Peace: the attitudes, institutions and structures that create and sustain peaceful societies. This research paper is divided into five main parts. The first part concerns with defining the variables and problematises the term of ‘remilitarization’ to understand the changes in the security policy of Japan. The second part explains the main assumptions of the theoretical framework employed to answer the main research problem. The third part explains the dynamic of the change in Japan’s policy by underlining the main historical precursors. The fourth part provides the answer to the research question on the causes of the shift from the ‘self-defence to the proactive defence’ policy of Japan. The fifth part elaborates the implication of the Japanese changing defence policy for the regional politics followed by the conclusion. When National Security Agency (NSA) contractor Edward Snowden walked off with 1.5 million classified documents in May 2013, he exposed the weakness of the U.S. government's jerry-rigged security systems. Instead of iron-clad double-key encryption, the NSA relied on home remedies like regular password changes and the prohibition of thumb drives. When your home network has better security than the NSA, something has to change. That change may come from an unlikely source: Bitcoin. No, the NSA is not likely to start making its analysts mine Bitcoins to pay for data access. But the NSA could adopt Bitcoin's underlying database architecture, the encrypted blockchain database management system. 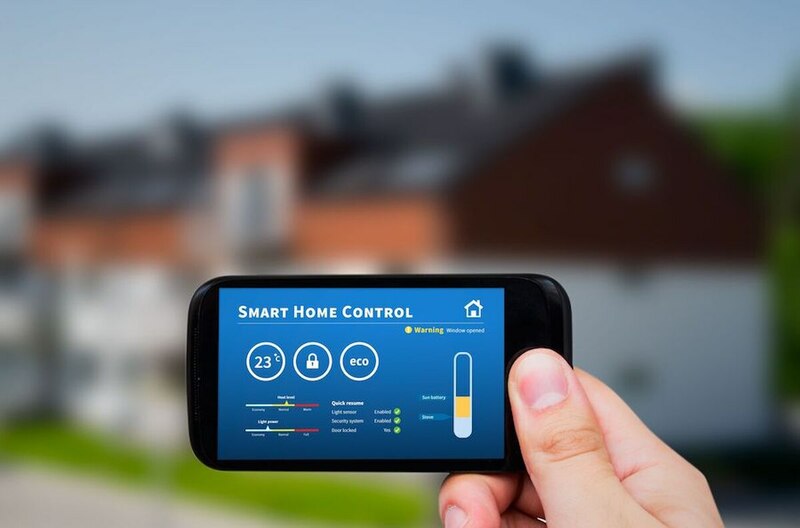 Manufactures of smart devices need to strengthen their security, a panel of experts said Monday, challenging creators of the growing “internet of things” industry to impose minimum standards on their products. A group of leaders from government and industry, speaking at a June 18 event held in the Woodrow Wilson Center, said that recent cyberattacks have revealed that connected products present a stark security risk. The suggestion of a political solution was laughed at. Researchers behind a study in mice believe consuming small amounts of alcohol could protect the heart because it activates an enzyme which puts the organ under a healthy level of stress and makes it stronger. According to the team at the Biomedical Science Institute of the University of Sao Paulo, Brazil, and Stanford University in the U.S., an enzyme called aldehyde dehydrogenase-2 (ALDH2) appears to both help process the toxic byproducts of alcohol digestion, and get rid of a molecule our heart cells create when they undergo major damage such as a heart attack. When heart cells face stress, they create a large amount of a type of compound called an aldehyde which is toxic in excess and can torpedo the structure of cells. ALDH2 clears the aldehydes from the heart, including the form of the compound created by the liver after we drink. A slow or mishandled response to a data breach can make a bad situation even worse. As soon as you discover you’ve been hacked, take these steps to help contain the damage. “A data breach itself is the second worst possible event that can occur in an organization; the mismanagement of the communication about the response is the worst.” This observation comes from Exabeam chief security strategist Steve Moore, who has tracked criminal and nation-state adversaries and led the largest healthcare breach response in history. Moore added that the time spent on a breach, including audit, regulatory, and litigation support, can last not months but years. Researchers at the U.S. 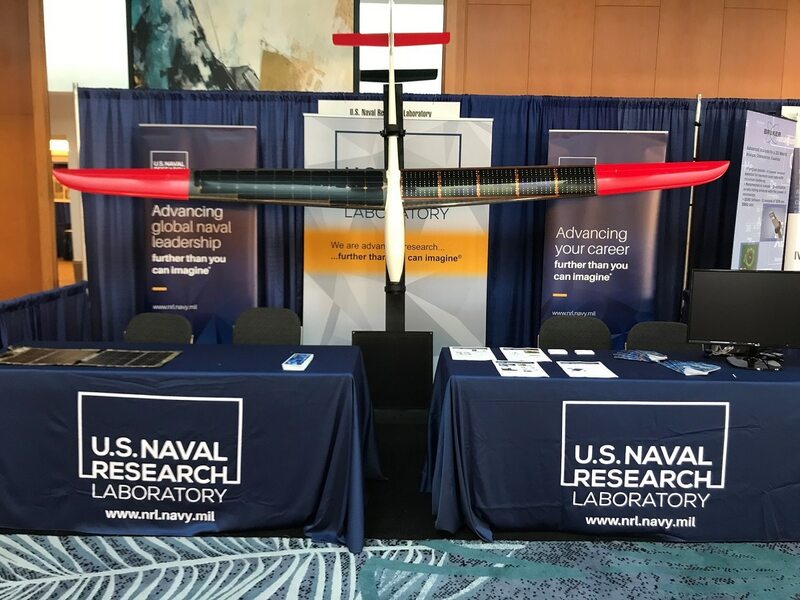 Naval Research Laboratory are exploring technology that allows unmanned aerial vehicles to fly for more than 12 hours using thermal and solar energy. Solar-soaring technology uses both thermal energy in the atmosphere and solar energy to power UAVs. Dan Edwards, senior aerospace engineer in NRL’s Tactical Electronic Warfare Division, described in a press release how UAVs can use sensing and guidance algorithms to detect a thermal updraft, when air close to the Earth is warmed by the sun and starts to rise, to soar. Solar-soaring technology also uses solar energy to power solar cells that convert light to electricity. New solar cell technologies are now small enough to justify the weight they add to UAVs. During his appearance at a major cyber conference, a former top Israeli intelligence official claimed that the energy sector will witness “the next 9/11 in cyber” if a conflict between Tel Aviv and Tehran breaks out. Ehud Schnerosen, former head of an Israeli signal intelligence corps known as Unit 8200, has announced that in the event of any future conflict between Israel and Iran, cyber-attacks should be aimed at the enemy energy sector, which he described as "a major pillar of the economy, the state's cardio-vascular system," according to The Jerusalem Post. "We should not attack water, food, or healthcare on ethical grounds, and should not attack banks because of the potential butterfly effect," Schnerosen said, adding that "the next 9/11 in cyber will be in the energy sector." President Donald Trump’s surprise announcement yesterday that he wants to establish a separate “Space Force” as a sixth branch of the U.S. armed forces may pit him against top military leaders and lawmakers. During a Monday meeting of the National Space Council, Trump declared that he is directing the Department of Defense to immediately begin the process of creating a space force that is “separate but equal” to the Air Force, the service currently responsible for most of the U.S. military assets and operations in space. The president’s directive to create a separate entity dedicated to military space operations appeared to take the Pentagon by surprise, after senior leaders spent the last year quashing a congressional proposal to do just that. This report examines some of the challenges for policymakers that may arise from the advancement and increasing application of AI. It draws together strands of thinking about the impact that AI may have on selected areas of international affairs – from military, human security and economic perspectives – over the next 10–15 years. The report sets out a broad framework to define and distinguish between the types of roles that artificial intelligence might play in policymaking and international affairs: these roles are identified as analytical, predictive and operational. 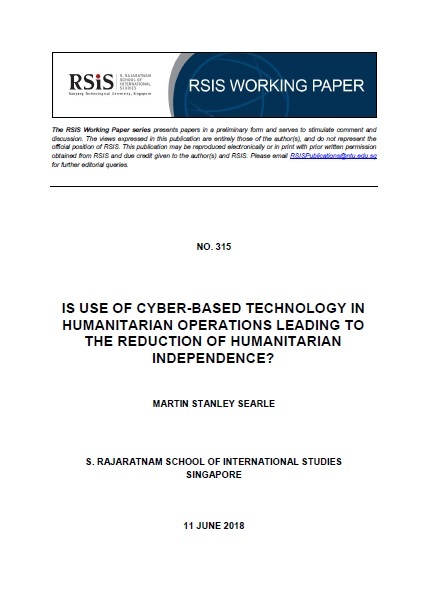 WP315 | Is Use of Cyber-Based Technology in Humanitarian Operations Leading to the Reduction of Humanitarian Independence? Technologies of the Fourth Industrial Revolution (4IR) are being tested and adopted at a significant rate in humanitarian emergency response. However, the crossing of physical, biological, and cyber domains that characterises these technologies threatens the independence of humanitarian organisations. This is occurring in an environment in which the value and purpose of independence is already seriously questioned, both in practice, and in principle. This paper argues that the loss of independence stems from two related trends. First, several 4IR technologies are improving the capacity of humanitarian organisations to gather, synthesise, and analyse data, resulting in the production of information of increasingly strategic, political or military value. Second, the cyber component of these technologies simultaneously renders that information more vulnerable to unauthorised access by third parties with relevant political, military or economic agendas. This parallels the “capability/ vulnerability paradox” identified in literature discussing cybersecurity in relation to the military or so-called “smart cities”. In conflict and disaster settings, this paradox increases the likelihood of humanitarian actors functioning as appendages of other organisations. This loss of independence potentially has operational implications relating to access, and material impact on the ongoing debate around the importance of independence in humanitarian work. Wary of the internet's power as a tool for political dissent and even revolution, Iran's conservatives have pushed for more stringent oversight online. Part of the strategy involves banning foreign apps and services, such as Telegram, and offering users closely monitored domestic alternatives. Iran's intranet, the National Information Network, will help authorities in this endeavor by giving them greater control over internet users, internet service providers and online content. As the internet matures, states will continue to refine their techniques for managing the flow of online information to their citizens. Nearly every national government exerts some level of control over domestic internet use, but the extent of the manipulation, and the tactics used to achieve it, varies widely from state to state. Four countries — Iran, China, Turkey and Russia — merit special attention for their efforts to break Western hegemony on the internet and, by extension, to challenge the free internet model. By the middle of the 21st century, ground forces will employ tens of thousands of robots, and the decisions of human commanders will be shaped by artificial intelligence; trends in technology and warfare make this a near certainty. The military organizations of the United States and its allies and partners must plan now for this new era of warfare.